Retaining an accurate, complete and easily retrievable record of your company’s e-mail communications is becoming increasingly important in this age of e-discovery. Archive all e-mail traffic from all mailboxes, using a journaling functionality. 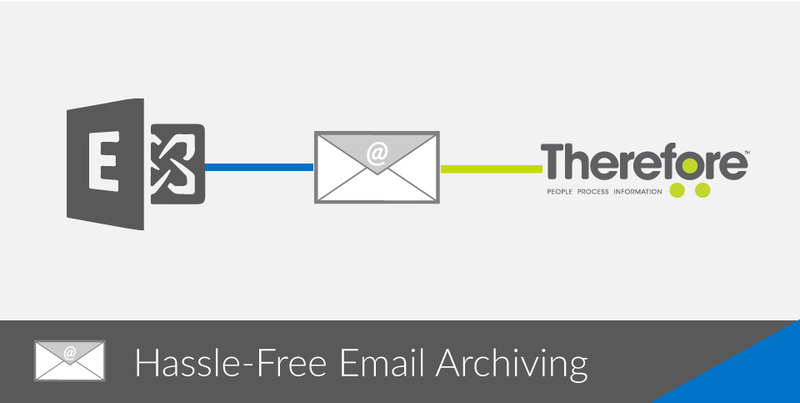 Save specific e-mails from certain mailboxes, using smart archiving capabilities. In both cases, the connector is easy to set up and use, and provides a lightweight, high-performance solution for storing e-mails in a robust and integrated repository. Maintaining complete records of their electronic communication for regulatory purposes. Fast search and retrieval in the event of an e-discovery situation. Retention policies can easily be set to save e-mails for legally required periods. Full control over who can view or delete e-mail records. To learn more about this simple and powerful connector, watch our video below!